Price Reduced!! !This charming brick ranch is move in ready. 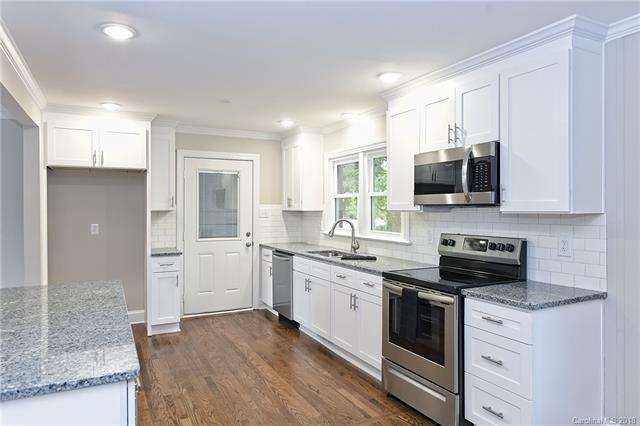 Enjoy entertaining in the updated kitchen with new cabinetry, lighting, stainless appliances and granite counters, New 30 year roof, interior hardware Great open floor plan with breakfast bar. Renovated bathrooms with new Vanities, toilets, faucets, tile, tub and shower, gleaming hardwood floors, new low E energy efficient windows, insulated crawl space and more. Easy access to I-40 and I-77, many restaurants and shopping. Walk just down the street to the local park.